Selling a home can be a frustrating experience. Finding a buyer for your home is frustration of, but is not necessarily the end of your frustration. Buyer contingencies that shift too much risk to you, the buyer’s choice of the wrong lender, or nuances of a contract clause that you may not fully understand can result in surprises, unnecessary problems and delays, or even the loss of the sale. It is our job to help you avoid those frustrations, to ensure that your sail reaches a successful conclusion, and to protect your interests at all times. Putting Lévesque law office on your team early in the process will ensure that everything goes as smoothly as possible. -Give you an overview of the closing process, and help you anticipate issues that the buyer is likely to address. -Review the purchase and sale agreement with you to make sure that properly reflects your agreement with the buyer, that it addresses all of your concerns, and that you understand all of its provisions. -If problems arise during the closing process, we attempt to resolve matters in your favor. 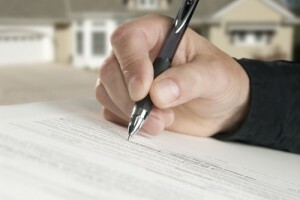 -Prepare the new transfer that will transfer ownership of the property to the buyer. -Arrange for the payoff of your mortgage [S.] and review all closing figures with the buyer’s lawyer. -Attend the closing on your behalf. Please call us to discuss how we can represent you.